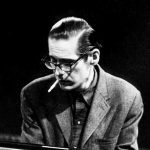 Bill Evans Trio | Another Time, The Hilversum Concert. 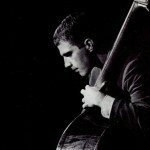 In 1966, Eddie Gomez joined the Bill Evans Trio replacing Chuck Israels. For the following two years Evans and Gomez would work with a number of drummers including, Philly Jo Jones, Shelly Mann, Alex Riel and Arnold Wise before Marty Morell would join the trio remaining until 1975. In 1968 after a stint with Betty Carter, Jack De Johnette joined the Trio and although this incarnation of the Trio only lasted 6 months it produced a number of recordings that now thanks to Resonance records are now available to the public. Most of the performances in this period took place in Europe however in a recent interview with Downbeat magazine, De Johnette stated that the Trio did do a number of performances in the USA including a run at the Village Gate and some TV appearances. A performance on the 1968 European tour at the Montreux Jazz Festival was recorded and released on Verve under the name the “Bill Evans at the Montreux Jazz Festival”. This album won a Grammy in 1969 for “Best Jazz Instrumental Album, Individual or Group”. Until recently this was the only known recording of the trio until in 2016 Resonance released “Some Other Time: The Lost Session From The Black Forest. a previously unknown and extremely rare studio album recorded on June 20, 1968 by legendary German jazz producers Hans Georg Brunner-Schwer and Joachim-Ernst Berendt in the MPS Studios. 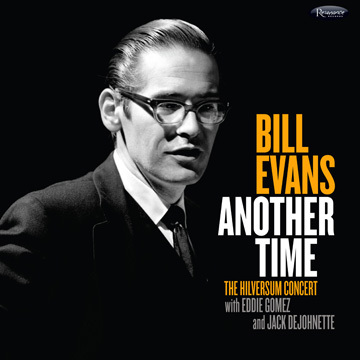 Fast forward to the present and here we have it Bill Evans “Another Time – The Hilversum Concert”. This recording as the title states was recorded in the Dutch City of Hilversum (Just a Stones Through from the desk where this review is being written). For those unaware Hilversum is the centre of of Dutch Radio and Television. 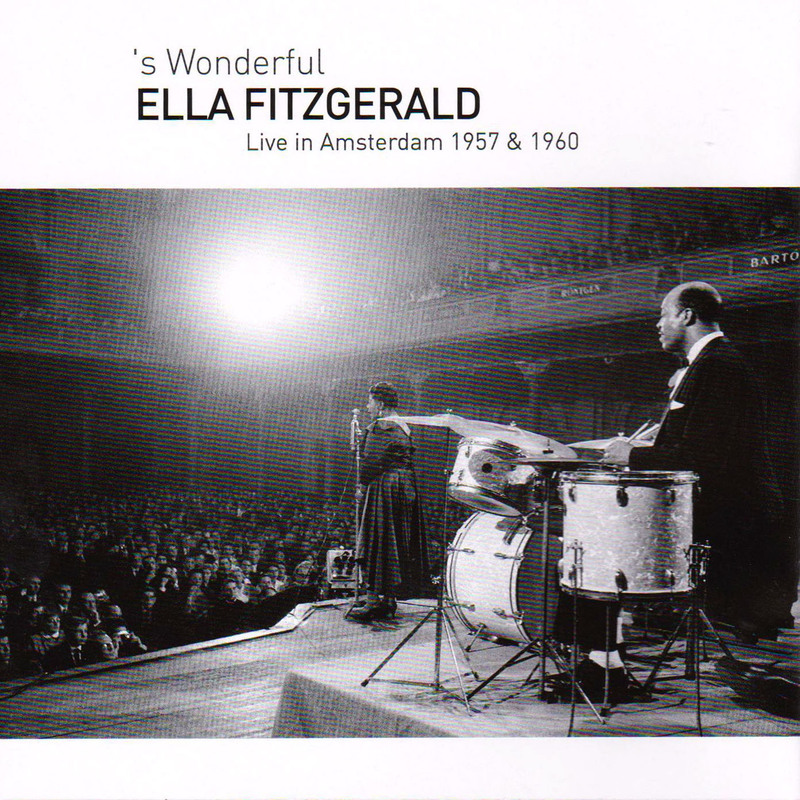 The recording took place in the VARA Studio 8 (now known as the MCO studio 8) for the program “Jazz In Actie” and was produced by the legendary Dutch producer Joop de Roo on June 22 1968. The first thing that struck me about this CD is the superb quality of the packaging. The CD includes an extensive 32 page booklet that includes a forward by producer Zev Feldman, Liner notes by both Marc Myers and Dutch author Bert Vuijsje and a short biography of original producer Joop de Roo. Also included are interviews conducted by Feldman with Eddie Gomez, Jack De johnette and pianist Steve Kuhn. The information presented in the booklet is excellent and adds an extra dimension to the production. On to the music, by 1968 Evans and Gomez had built a symbiotic relationship reminiscent of the La Faro days. With the addition of De Johnette we once again hear a three way conversation rather than a duo with a drummer holding time. The performances on this recording are outstanding and show the trio in fine form in fact the interplay between the three is at times reminiscent of the classic recordings with Motion and LaFaro of the early 1960’s. Jack De Johnette shows himself to be a master of the brushes providing subtle commentary while at times taking the lead pushing Evans and Gomez ever closer to the edge. Eddie Gomez is provided a great deal of room on this recording in fact there are a number of instances where Evans stops comping allowing Gomez the freedom to take things anywhere he wants to go. Examples of this are on: Who Can I Turn To” and the intro to “Embraceable You”. Evans himself obviously felt totally comfortable with this line-up. His playing is inspired and you can feel his passion in almost every phrase. He switches seamlessly from the introspective moods of The Bacharach hit “Alfie” of to the extrovert energy of the almost Free From version of “Five”. Highlights on the album are many however if I have to name one or two they would be the version of “Nardis” and “Embraceable You”. Both of these tracks have been stalwarts in the Evans Trio repitiore and the versions on this recording are in my opinion close to the best I have heard. Marc Myers in his liner notes describes Nardis as a song that when played by the Evans trio is “Always an exploratory trip down a rabbit hole” and this performance fits this description. The song is taken at the medium up tempo and directly after the head, Evans leaves Gomez unaccompanied to set up his solo before entering slowly building his comping to the point where it flows seamlessly into the piano solo. Following Evans solo De Johnette takes the rains for an extended drum solo before the trio returns to the head for the outro. Embraceable You is notable for the fact that this version is almost all Gomez and the theme only enters at the end. 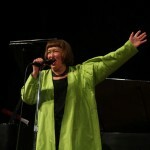 It was not at all common in this period for Evans to almost sit out during the entire song and when entering to take a back seat role. This album is a gem from start to finish. The production is top notch and the packaging adds substantial value. Resonance lists the album on there website for $18.98 USD however at the time of writing I’m not sure of the price in the UK and Europe. No matter what price the album will be listed at, I would be prepared to pay double. 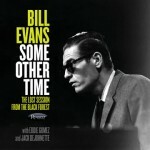 This album is a must have for all Bill Evans fans and dare I say for all jazz fans no matter what their taste is. The album is available in a number of formats including a Deluxe Limited Edition LP Released Exclusively for Record Store Day (April 22, 2017) – Unfortunately now sold out – and a Deluxe CD & Digital Edition both available on Sept 1, 2017. 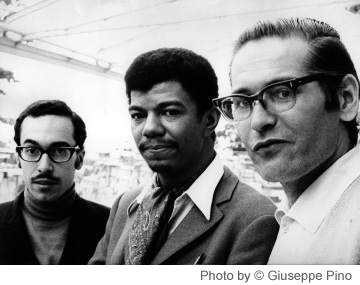 Bill Evans, Piano | Eddie Gomez, Bass | Jack De Johnette, Drums. 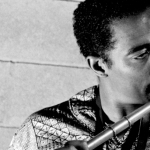 Resonance Records release Deluxe 3CD and Digital version of Eric Dolphy “Musical Prophet.